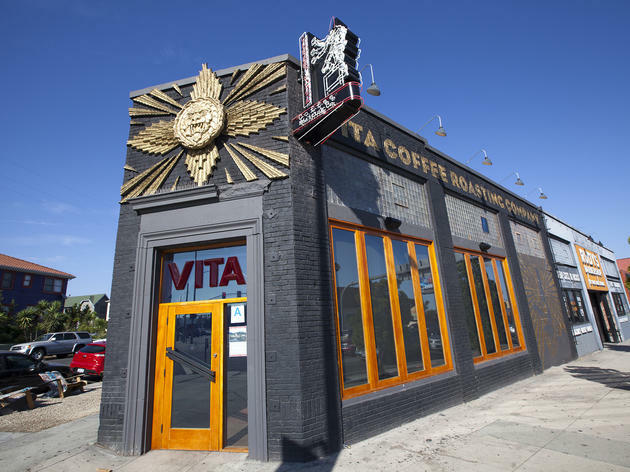 Seattle's cult-fave coffee lands in Silver Lake at this Sunset Boulevard storefront of floor-to-ceiling windows and exposed brick. 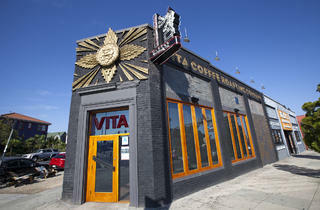 Eastsiders can stay caffeinated all day (and most of the evening) with siphoned drip coffee and espresso-based drinks. Spread out across the bi-level space (hard workers head upstairs, socializing happens on the ground level) or sip your brew alfresco and surf the web with free Wi-Fi. In the market for a fancy brewing contraption? There are some very pretty ones on display here. A cozy neighborhood spot for coffee or tea. Service is friendly and prompt, offerings are solid, but be aware--if you're looking for someplace to relax for a long period of time, it's smaller than it looks inside, so it's better for meeting a friend or coming for a single coffee.